Charmagne Amantite-Mak, a resident of Sonoma County for over 48 years, began her real estate career in 2005. Dedicated to the youth of Sonoma County, Charmagne has worked with middle school students in the area for 20 years and is now rewarded with the gift of helping those same “children” purchase their first homes! With a keen sense of organization and conflict resolution skills, Charmagne is the type of negotiator you need on your team. When not helping her clients, Charmagne loves to cook and entertain large gatherings of people. Spending time with her life partner and husband of 22 years, Randy, doing everything Sonoma County — wine tasting, hitting the beach, or taking the wonderfully short drive to San Francisco — is always a welcome event. Charmagne and Randy have two beautiful daughters: Gabrielle and Erika, along with son-in-law Andrew, and two grandchildren: two-year-old Thomas and eight-year-old Jazmyn. No matter your real estate goals, Charmagne’s years of experience make her an invaluable resource. Reach out today and watch her work for you. A lifelong resident of Sonoma County, Cody Gatton was born and raised in Cotati, CA. Upon graduating from Rancho Cotate High School, he attended San Diego City College where he played collegiate basketball, then transferred to The California Maritime Academy graduating with a degree in Business Administration. In 2016 Cody married his best friend Jamie Lynn, and in August of 2017 they welcomed their first child, Scott Michael Gatton. Investing and working with investors since 2015, gave Cody the desire to help people with all of their real estate needs, big or small. 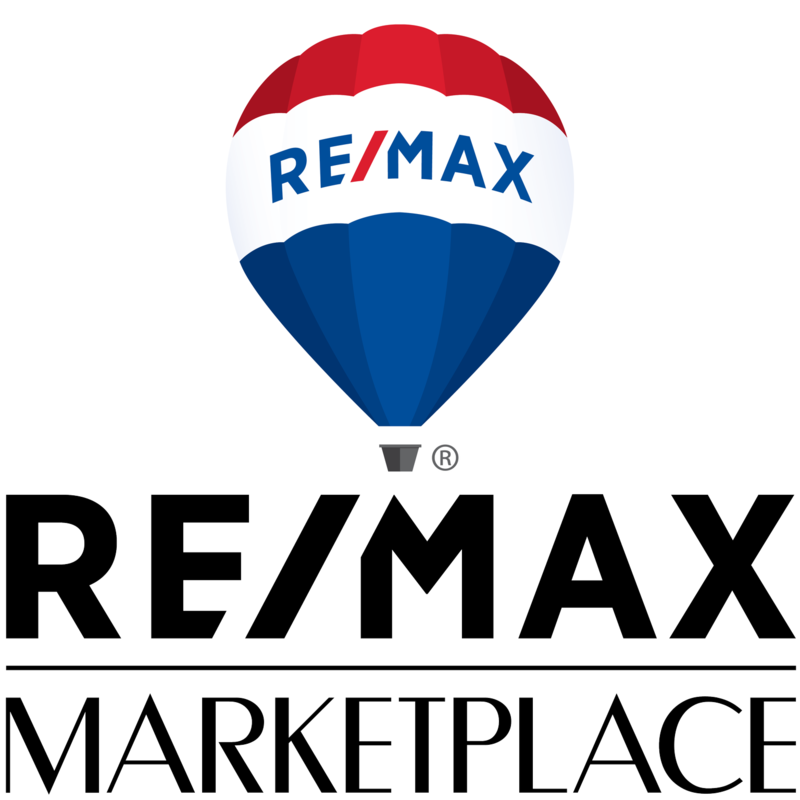 Thrilled at the opportunity to join the team at RE/MAX Marketplace, Cody is eager to help with our community members. David and Erika Rendino are one of the most respected real estate teams in Sonoma County and are the founding owners of RE/MAX Marketplace. They are recognized by clients and peers as ethical, accomplished and dedicated. They continue to set the standard for excellence, market knowledge, and elite customer service. With more than 25 years of combined experience, David and Erika have closed well over 1,000 transactions since 1998. With an emphasis on residential and income producing properties, David’s unique negotiation skills allow him to effectively advocate for his clients. Erika has a software engineering background and an au courant sense of style, which allows her to market her properties with cinematic effect. Combined, David and Erika’s business sense, technological savvy and ability to stay on top of current trends allows their sellers to receive top dollar for their properties. With their keen knowledge of real estate inventory they have a knack for matching up buyers with perfect properties, suitable for their budgets and lifestyles. As residential and income property experts, David and Erika bring a wealth of knowledge and expertise to the real estate buying and selling experience. They engage a full support team, from in-house administration, to local loan officers, to 1031 exchange accommodators. David and Erika have strong alliances with reliable and affordable contractors, which is a great asset when listings in need of repair and post-sale renovation strategies are engaged. When a buyer or seller selects David and Erika, they have selected the best team possible. Buying or selling real estate is one of the most expensive and important decisions a person will make in a lifetime. There is too much at stake to hire someone who requires on-the-job training. You need someone you can trust for up-to-date information and someone who holds himself/herself to very high standards. You can rest assured that when David and Erika provide advice to a client, it is with the client's best interest at heart. Their personal philosophy is “If you take care of people, business will take care of itself." Passion, Dedication, Honesty I chose real estate and particularly RE/MAX for a few reasons. My wife and I have been on both ends of home buying and selling experience and have worked with quite a few agents, some more experienced and capable than others. Then we had the pleasure of working with a RE/MAX agent and got to see first-hand what a transaction should feel like; informed along the way, our best interest in mind. My experiences as a buyer/seller gave me the passion to make sure there are more capable realtors that you can trust with one of life’s most important decisions. I also have over 10 years’ experience in the mortgage industry. My experience has given me the opportunity to see real estate transactions from a different perspective. Navigating stringent lending guidelines can be stressful I have the knowledge to make this part of buying and selling real estate seamless. Our office has over 35 years’ experience with the name brand recognition and support of a global company like RE/MAX. Our size gives us the advantage of an unmatched customer experience and attention to detail. If you are looking to upgrade, downsize, investment, or just buy your first house, I know how important this is and can guarantee a level of customer service and a long term professional relationship you can count on. Let my experiences and passion work for you, and get the service you deserve! Heidi Swingley’s strong desire to help people led her to the world of real estate. A successful business owner for over 25 years, Heidi has developed the skills necessary to build and maintain lasting relationships: integrity, reliability, accountability, and honesty. A Montana native, Heidi has lived in Rohnert Park for 22 years and is well integrated in the community. Like so many people, Heidi was drawn to this special area due in part to the strong sense of community and down to earth people. Of course, there’s nothing wrong with this fabulous climate either! When she isn’t helping people find their ideal property, Heidi, her husband of two years, 25 year old son, 17 year old daughter, and sweet six-month-old grandson, love to travel. Be it exploring the backroads of California or visiting Iceland, Heidi and her family hit the road as often as they can. Home is Heidi’s sanctuary. Be it curling up with family cats Wolfie and Moustache with a good book, baking breads and pastries, brewing kombucha, or a Netflix and chill night, Heidi truly appreciates life’s simple pleasures. As a real estate professional Heidi is dedicated to helping you find your sanctuary, the ideal income generating property, downsize, or move up. Reach out today and let Heidi guide you through all of your real estate transactions. Real estate is a “people business” – with success depending not just upon technical expertise and skill, but also upon interpersonal relationships. I understand buyers and sellers have to work closely with their REALTOR® to define their real estate goals and create a strategic plan to achieve them. Open communication, trust and execution of the plan will be the backbone of our relationship. So, if you are thinking of buying or selling your home in Sonoma or Marin County, we should connect. Jennifer knows that there is no place like home! As a lifetime resident of beautiful Sonoma County, raised in Rohnert Park, she has been selling real estate since 1997. Priding herself on providing exceptional service to her clients when buying or selling in the real estate market. One of her passions include educating buyers and sellers on the current values in the area. When listing a property she helps her clients prepare their home to go on the market. Some of this preparation often involves helping the client de-clutter their home, strategically place furniture and help to create curb appeal so the home shows its absolute best for marketing. She is attentive and listens to what her clients are looking for to help find the right location and style of home that fits their needs and budget. She takes delight in sharing her extensive knowledge of the area and real estate market. With her goal being to create a client for life, she will negotiate the best price, term and time frame to make the transaction smooth, successful and stress free! A little about us..... We have been Sonoma County residents for over 20 years and joined the RE/MAX Alliance (formally CPS Property Advocates) in 2003. In 2017, Ken and his two partners, opened RE/MAX Marketplace to better serve our clients. Ken has been on the Board of Directors for both the Education Foundation and the Cotati Accordion Festival (no, he doesn't play), an active member of Rebuilding Rohnert Park, as well as a coach of tee ball in Petaluma and youth basketball in Rohnert Park and Santa Rosa. For our sellers: we take the time to carefully analyze the surrounding market and the current trends in order to get the best possible price to list your home. When it comes to marketing your home, we don’t hold anything back! We are using state-of-the-art techniques, including 3D tours and drones, to showcase every property. We are determined to use every tool and media source to make sure you home is seen by the most buyers in order to receive stronger, more secure offers. We are solid negotiators as well. Remember, we work for you so when it comes to representing you and your home, we are committed to getting the most for your home with the smoothest of transactions. When offers are presented, we will compile all the paperwork and present it to you for approval or rejection. We will never tell you which offer to accept, instead will present all the offers and list their pros and cons based on the offer content so that the decision is easier to make. Everything we offer is guaranteed in writing. You will always be in control and informed every step of the way. It would be an honor to work for you! "Making your dreams a reality" is what drives Kristin to be the utmost dedicated and loyal REALTOR® in this industry. Her hard work and driving spirit are what is needed to get the job done. Professionalism and the ability to connect with her clients, are what make it possible for Kristin to tailor each transaction to her clients' needs. A member of the National Association of REALTORS®, California Association of REALTORS® and North Bay Association of REALTORS® with over 11 years in the real estate industry, Kristin has experience with residential homes, short sales, investment property, and property management. Kristin is very active in her community and has served the past six years as president of the Rancho Cotate Music Boosters. She was also named Volunteer of the Year in 2016 from Rancho Cotate High School. In Kristin's spare time, you will find her traveling the world with her family! She has an adventurous spirit and loves to see and experience new people, places and things. Call Kristin today and let her help make your dreams a reality. Nothing is more important than family. As a leading real estate agent in Sonoma County for 27 years, I understand just how important a home is for a family. That is why I work tirelessly to meet your family’s real estate needs. I will take the time to listen to your priorities and tend to every goal as if they were the goals of my own family. As an active member of the Rohnert Park/Cotati Chapter of REALTORS® I am very involved in the local community and spend most of my spare time as a volunteer for Canine Companions for Independence. My focus is on family, yours included. So, whether you are looking for a REALTOR® to help sell your current home, find a new home, or simply answer a few questions about the process, I am happy to help you. After attaining her Bachelor of Arts degree in Business Administration in 2001, Mary moved to the Bay Area and started working in the financial-services industry. She had a proven success record in this sector, consistently ranking in the top 3% nationwide for one of the largest banks in the country. As a Vice President, she provided visionary sales leadership and was tenacious in building new business and securing client loyalty. After a break to raise her three sons, she embarked on a second career as a Realtor. She has built her reputation in real estate on providing the highest standard of integrity and advocacy for her clients. In, addition her eldest son Hani Kassis was recently licensed and is working side by side with Mary. After only being in Real Estate for a few months her entrepreneurial spirit kicked in and saw a niche where she can differentiate herself from other agents by starting a design and staging company. In August 2015 she founded Bella Design and Staging, which has become an added benefit for her clients. Bella Design and Staging has consistently been rated number one on Yelp in Petaluma for the past three years. In addition to having an entrepreneurial side Mary is an active member within her community. This is her way of giving back to her community that has given her and her family so much to be thankful for. Mary continues to volunteer as a basketball coach for the Boys and Girls Club of Sonoma and Southern Marin counties. In 2015, she earned Coach of the Year honors for inspiring her young athletes. In addition, she is an advocate for educating youth in finance; she was part of the Junior Achievement Program in finance for over a decade. A Sonoma County native, Michelle Hampton not only knows the area, she loves the area. Her mission as a REALTOR® is to provide a quality experience based on her motto: Clients needs come first. She encourages her clients to invest in themselves, as well as make smart investments for their future. With a 17 year background in customer service, Michelle has learned that using open communication and an honest, caring approach helps her clients meet their goals. When not helping people navigate the real estate world, she enjoys the arts, in particular, computer design, watercolor, and sculpture. With a wealth of activities in this beautiful area of the country, Michelle doesn't miss a chance to get out there, whether to spend time at community events, hit the many hiking and biking trails, or just take a trip to the coast for a relaxing sunset. Well rooted in Sonoma County, Michelle offers a large network of clients, investors, and mortgage professionals to ensure all aspects of one of your biggest life decisions will run smoothly as possible. Welcome! I have worked full time in the real estate industry since the year 2000. I specialize in residential home sales and bring experience, energy and a strong sense of ethics to my transactions. My Chilean heritage has made me a caring and warm person and I counsel every client as if they were my own family member. It is this philosophy that has allowed me to feel proud of my work — at the end of the day I know that I have added value to the people in my life. My foundational ethics are the reason I have been able to thrive during boom and bust cycles and is the reason why I am going as strong today as I have 17 years ago. I do not have clients, just friends, because all of my clients are my friends. Life is too short to have it any other way. Technology is awesome and has the ability to make life more efficient, including the business of real estate. I believe in this and use it to my client’s advantage. I feel that I can accomplish more than many of my counterparts because of my experience coupled with my accomplished brokerage team. Whether your real estate needs are commercial or residential, I will communicate transparently with you—there’s no longer a need to deal with cryptic, smooth-talking, old-school business people that won’t tell you the whole story. There is a new type of REALTOR®—I’m Simon Raya—I’d love the opportunity to show you what working with me is like. Honor. Integrity. Service. As a veteran of the United States Military, these core values defined Tony’s passion to excellence in all that he does. Whether you are buying, selling or investing, Tony’s dedication to you, his client, always dictates that he goes above and beyond what is expected to serve your needs first. It’s not just a promise, but a way of life. It’s easy to remember the name, but once you have Tony on your team, you will never forget the man. Born and raised in Marin, Vicki moved to Sonoma County to start a family, where she has lived for more than 30 years. When she is not at work finding your dream home, Vicki can often be found dedicating herself to non-profits such as the Children’s Miracle Network, Habitat for Humanity, and the Humane Society. With a fondness for interior design, and an eye for detail, Vicki Metzger is truly a grand addition to the Re/Max Marketplace Family!